All you Suicidalists out there looking for some new gear in time for the holidays are in luck! The AcidRap.com Store just loaded up on a few new items, and put some albums up for sale for only $6.66! There are also other clearance t-shirts for $12.50 and a super dope hooded jacket up for sale! There’s also a backpack, bandanas, hats, hoodies, and so much more! Some orders will even come with signed merchandise! 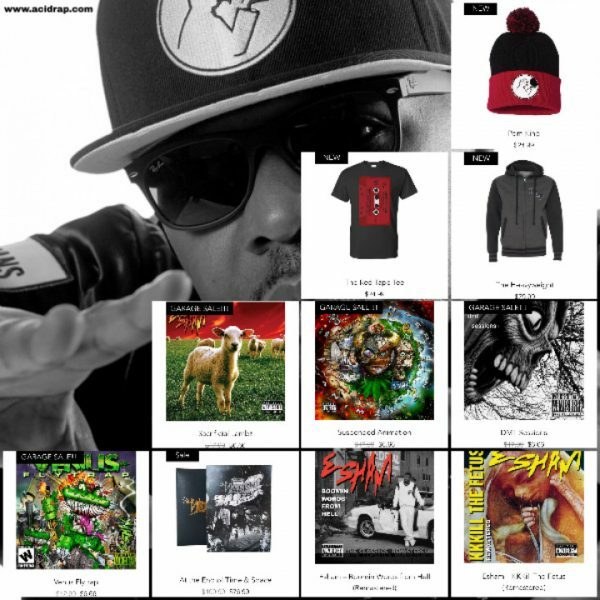 Click the pic to visit the Acid Rap store!